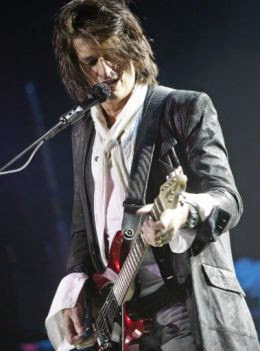 Joe Perry, the Aerosmith’s guitarist released an EP with four holiday classics. "Joe Perry's Merry Christmas" has instrumental versions of "White Christmas" and "Silent Night" and two tracks with vocals: "Run Rudolph Run" by Chuck Berry and "Santa Claus Is Back In Town" which became known in the voice of Elvis Presley. Actor Johnny Depp also features on the EP playing guitar and doing backing vocals. Perry said he always wanted to record a Christmas album with Aerosmith but the opportunity never arose. Now, in 2014, the musician was able to realize his dream. "The tour of my book 'Rocks' was over, we were in Los Angeles with access to a studio and with some very nice friends and all the tips came together," said the musician.